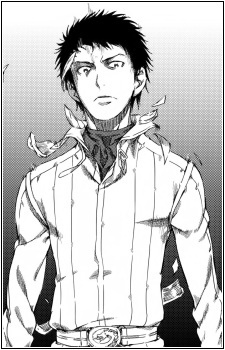 Kihara Kagun is a character introduced in Shinyaku Toaru Majutsu no Index as a former member of the infamous Kihara clan, and a key member of GREMLIN. Knowledgeable in both science and magic, he plays a key role in the workings of GREMLIN, who uses science and magic hand in hand. He is a Kihara, as such he has a natural affinity to science and the gravitation towards evil. However, he somehow managed to overcome both of this, becoming a magician, as well as helping the audience of Natural Selector, and other characters. Yet, he is still a Kihara regardless, as he displays his deviousness, having manipulated events in Baggage City as so he can face Kihara Byouri equally, as well allowing for the events of Radiosonde Castle, and the invasion of Hawaii to take place. Therefore, he is considered to be like the other Kiharas—he is someone who will let nothing get in the way to achieve his goals, even if he is good.